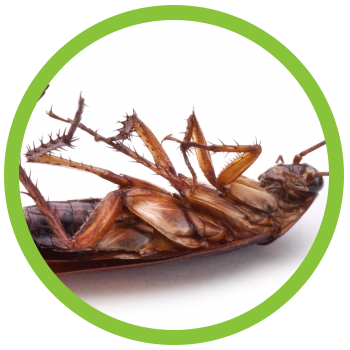 When it comes to pest control services in Rocklin or the Greater Sacramento area, our specialized method of pest management can keep bugs and rodents out for good. If you’re looking for a method of pest management that actually works, we can help. Earthwise uses a method called Integrated Pest Management (IPM) to keep pests at bay. We limit the use of pesticides and messy traps and instead find the reasons why pests are invading your property. This not only eradicates the current infestation, but it also keeps future pests away by making your residential or commercial property less attractive to them. Keep reading to learn more! As your local pest control company, we are proud to serve the Greater Sacramento area, including beautiful Rocklin. If you are looking for a Rocklin pest control company you can count on, consider Earthwise Pest Management. With over 200 5-star reviews, you can depend on us to get the job done right. With our experience in the pest control industry, we have found what works and what doesn’t. That’s why we are happy to offer Integrated Pest Management (IPM) to the city of Rocklin and beyond. IPM is a method of pest control that focuses on both eliminating the current infestation and preventing future pests from entering your property all while limiting our use of pesticides, traps, and baits. Pesticides and traps only offer a short-term solution, often at the cost of exposure to harmful chemicals and messy trap cleanup. IPM offers a long-term solution. While we do use traps and pesticides when necessary, we understand that these do not accomplish the main objective of pest management. With the IPM method, we will perform a thorough inspection and assessment of your home or residential building. We take into consideration a pest’s habitat, food sources, reproduction cycles, and other factors that might make your property a favorable environment for that pest. We identify where the infestation might be coming from and devise an extensive plan to fix vulnerable areas and eliminate pests in the long-term. Which Pests Are Bothering You? When it comes to pest control, Rocklin residents know that we experience all sorts of pests in our area, from tiny ants to big rats. Luckily, Earthwise can handle them all. Check out a few of the most common pests we deal with below. Termites can cause tens of thousands of dollars worth of damage to a building. Not only is their damage expensive to fix if the problem persists for too long, but it can also create a safety hazard for everyone in the home or commercial building. By the time you realize you need termite control in Rocklin, CA, the damage is likely already extensive. Regular termite inspections are the best way to catch an infestation while it is still small and easily treatable. Our highly qualified team can perform an inspection for you to give you some peace of mind. If we find evidence of termites, we can quickly treat the problem so you can get your life back to normal as soon as possible. Rats and mice are naturally drawn to areas where humans dwell because it gives them plenty of access to food, water, shelter, and warmth. Whether a couple of rodents are in your attic, kitchen, or basement, it doesn’t take long for a ‘couple’ to become dozens. Not only can rodents cause damage to your home or commercial building, but they can also transmit diseases or carry fleas and ticks into your space. If you are experiencing a rodent control problem in your home, this can put your family at risk. If you are experiencing rodents in your restaurant, retail store, warehouse, office, or other commercial space, it can put your livelihood at risk. If you notice any signs of a rodent infestation, make sure to give Earthwise a call to discuss our Rocklin rodent control services. Bed bugs are often the last pest you want to find in your house. Not only is it gross to realize you’ve been sharing your bed with a parasitic bug, but they are also notoriously hard to get rid of. There are a few signs of a bed bug infestation that you should look out for, but the most important thing to remember is that the sooner you treat the problem, the better. Bed bugs can end up in your home in a number of ways. Most often, they travel on your luggage from a hotel room to your home. But they can also hitch a ride from an airplane cargo space, train, airplane, or bus seats, movie theater, or any other shared place. Give us a call to learn about our Rocklin bed bug control services and inquire about our chemical-free heat treatments for bed bugs. If you are experiencing a pest problem other than the ones listed above, no problem! We offer effective pest control for spiders, moths, ants, wasps, silverfish, cockroaches, and any other creepy crawly that you find in your home or commercial space. Do not hesitate to call Earthwise Pest Management to request a free quote for your pest control needs. We are your Top Rated Local® pest control service offering Integrated Pest Management to the Greater Sacramento area. Call today!